I’m back with another awesome instant pot recipe today! If you don’t have one of these awesome machines yet, I highly recommend it. It makes cooking dinners, sides, and even desserts super fast and easy! One of my favorite desserts to have is applesauce. 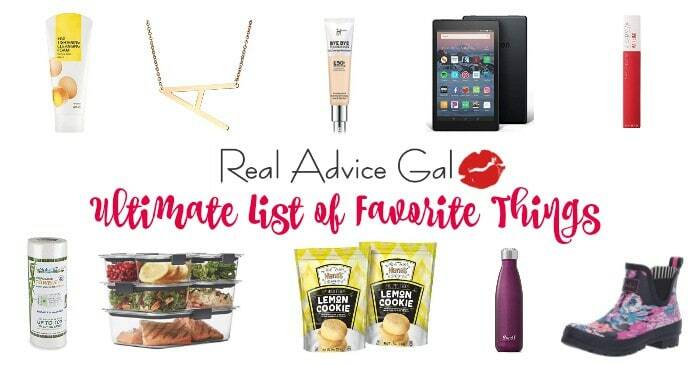 Any kind of applesauce, I love them all! And when I found out I could make homemade cinnamon applesauce at home I was super excited to check it out and share the recipe with you! Using the instapot you can make whatever flavor of applesauce you wish! 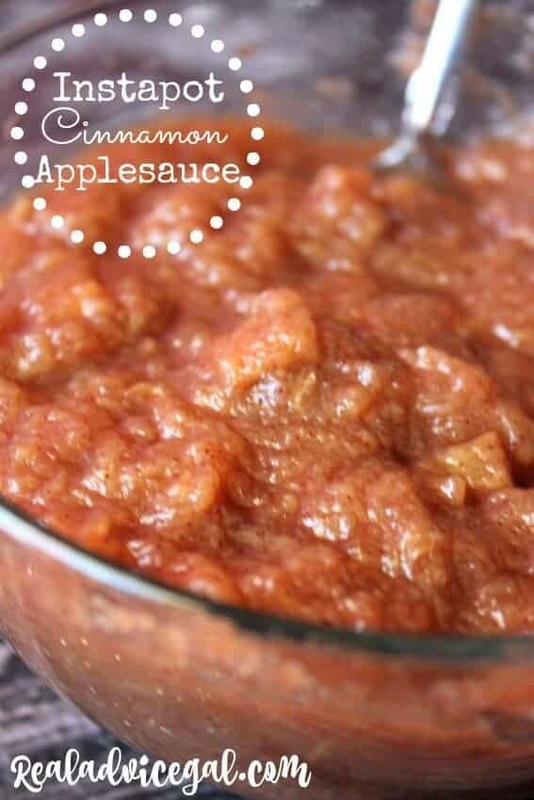 I decided to go with a cinnamon applesauce because it’s my personal favorite, but you could make plan applesauce, strawberry applesauce, or whatever else you can think of! Let’s check out how easy (and quick) it is to make shall we? Step 1: Pour your water in the bottom of your instant pot. Then place your apples in there. I leave my skins on because I like the taste, but it’s optional. 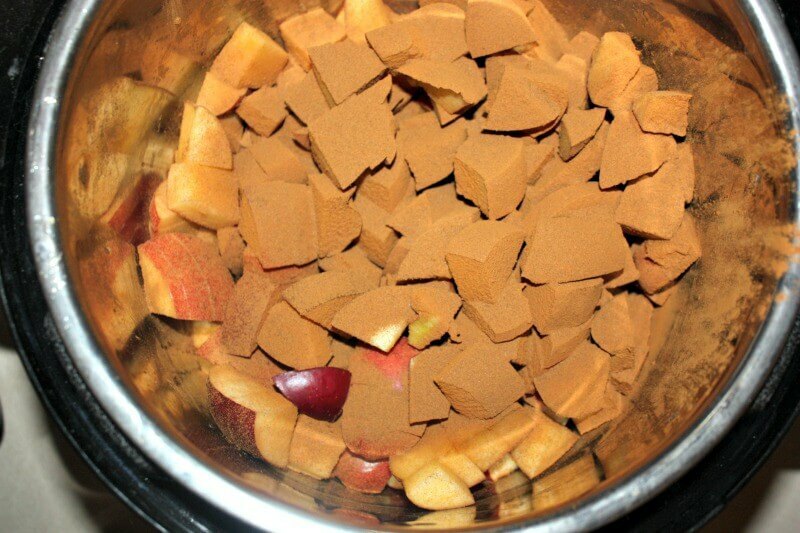 Add your sugar and cinnamon. Step 2: secure the top of your instant pot and set your timer for 7 minutes. Step 3: Release your steam and carefully open your lid. 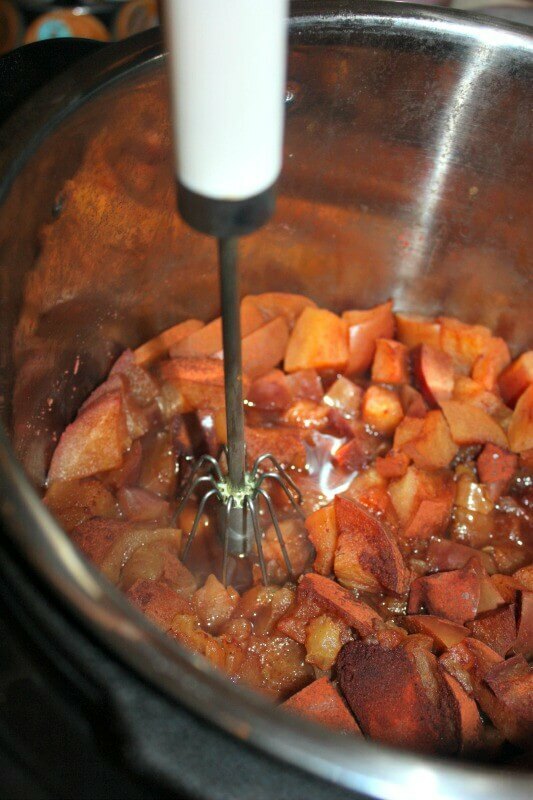 Step 4: Using a blender, a hand blender, or even a fork and some elbow grease, mush your apples! 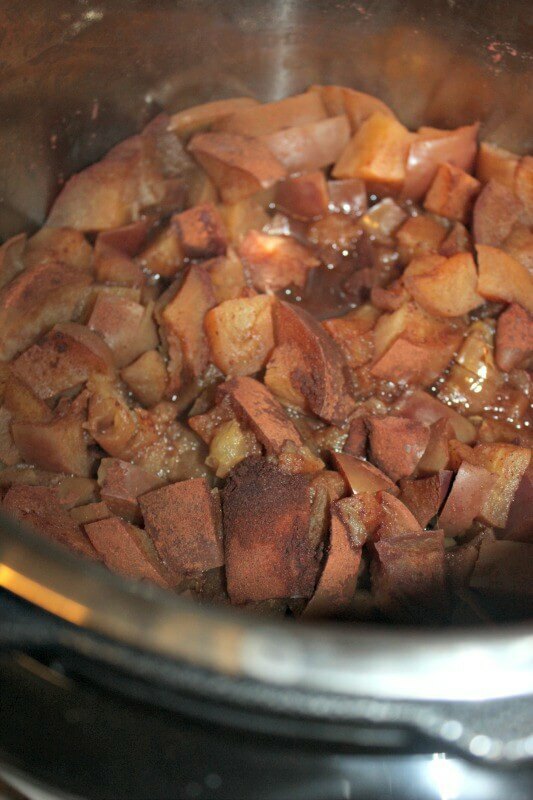 I like my cinnamon applesauce a little chunky, so I left it as such, but the apples are tender enough that you could make them as smooth as you wanted to! That’s it! 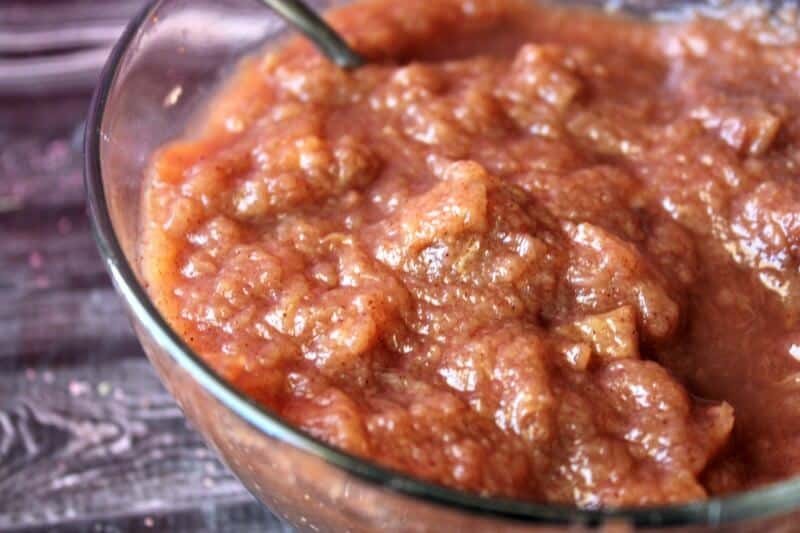 in about 10 minutes you will have a homemade cinnamon applesauce recipe that is perfect for any time of day and tastes oh so awesome! This is my go-to cookbook.